It was fast approaching the end of the decade and I was a student in Hwa Chong Junior College. I can't remember now why the whole school was seated neatly in rows on the school assembly ground in the late afternoon. Perhaps it was the week of orientation, or the annual mid-autumn celebrations. What I do remember was that it was almost sunset and we were engaged in a campfire singalong of sorts. At the time, Hwa Chong's intake was still primarily made up of students from Special Assistance Plan schools, so the songsheet we were given comprised mostly Chinese lyrics. Sometime towards the end of the hour-long session came a special moment for me. The light was fading as we launched into Liang Wern Fook's "Rang Ye Qing Qing Luo Xia" (Let The Night Gently Fall), popularised by Singapore singer Pan Ying. As we wait for the new beginnings that dawn will bring. So let's continue to cherish the present." It did not matter that we were in a temporary school location deep in the bowels of Bukit Gombak. Singing those words, surrounded by my friends as the sky turned orange and pink behind the adjoining HDB blocks, became one of those Kodak moments that has stuck with me for a lifetime. It makes me remember all the other golden moments in Hwa Chong when my classmates and I stayed back in school to study. We often sneaked up to the roof and watched the sunset, climbing down when it was dark to head to the nearby coffee shops for dinner. And just as the song says, we talked a lot about the present, about the uncertain future ahead, about whether we were happy now and could be in the years to come. That singalong session on the cusp of nightfall was a recurring thought as I watched The Songs We Sang, the new documentary about xinyao, last weekend at the beautifully refurbished Capitol Theatre (itself the scene of many happy school-going moments). It was a special screening arranged by the alumni of Hwa Chong Junior College and St Nicholas Girls' School and I was lucky to score a ticket to an event that I was told had more than 200 people on the waiting list. The documentary was first shown last year at the Singapore International Film Festival, but cannot be commercially released. This is because Singapore director Eva Tang used many old video clips in her film that would attract a hefty six-figure copyright fee associated with a wide cinema release, and so far she has not been able to raise enough money. That is a real pity. Not only is the documentary well-made, it proved cathartic for someone like me in many ways. Even though I was schooled for most of my life in traditionally Chinese schools (I went to Catholic High before Hwa Chong), I was raised in a Catholic Peranakan family that spoke English and Malay at home. So for me, the whole xinyao movement played out like a movie that I was watching but not really paying attention to, or like catching occasional glimpses of the scenery outside a moving bus. Yet the movie was always there and, during my school-going years at least, I always had a window seat to xinyao's development in the 80s. There was always a bunch of my Catholic High classmates discussing the latest xinyao songs and albums by Liang, Eric Moo and Ken Tay. I was more likely to be found in the other bunch of students in class discussing the poetry of Western singer-songwriters such as Suzanne Vega, but that didn't mean the two groups made no impression on each other. Occasionally, the groups would come together, as we did for a East Coast chalet barbecue and sleepover to say our final goodbyes just before graduation. We played the guitar and sang songs into the night, including the xinyao greats I had heard time and time again in the last four years, like Liang's timeless ode to friendship "Xi Shui Chang Liu" and Dawn Gan's "Wo Men Zhe Yi Ban" (Our Class). Watching Tang's movie allowed me finally to bring together all these disparate memories into a coherent whole. 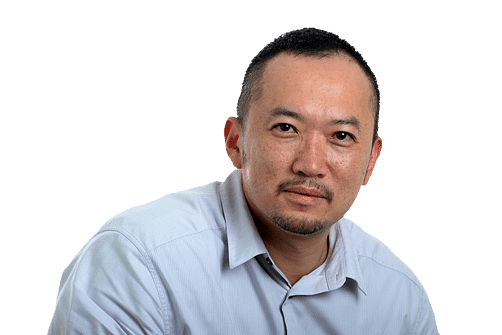 And I suspect that will also be the effect on a wider swathe of English-educated Singaporeans, who grew up with the same occasional glimpses into the xinyao phenomenon. 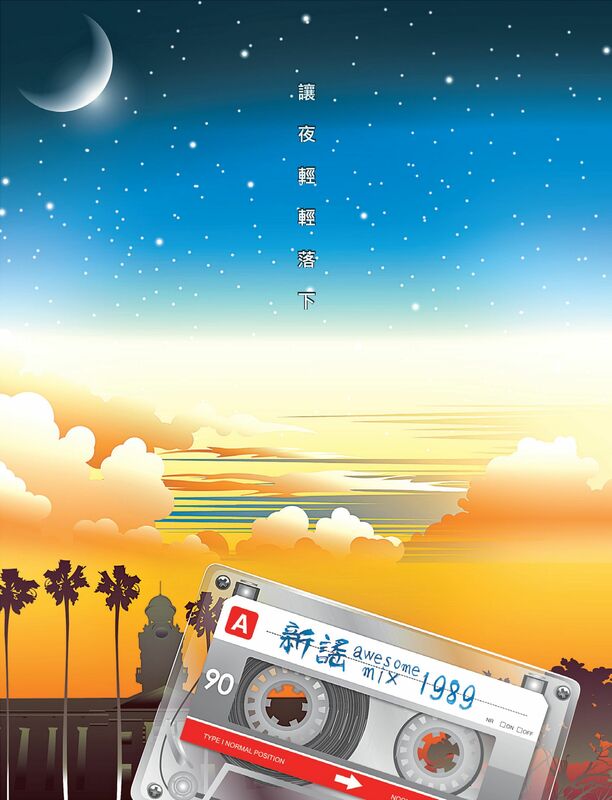 Those who avidly followed popular SBC television serials The Coffee Shop, Flying Fish and The Awakening will remember their xinyao theme songs. The theme song for the serial Neighbours "Zhi Ma Lui Dou" has been sung by hundreds of thousands of Singaporeans at various National Day Parades. But Tang's documentary does much more than sew a few heartwarming moments together. It puts them in historical context and the understanding of xinyao's place in the development of Singapore's national narrative was the true takeaway for me. Until last weekend, I had only the foggiest notion that xinyao had its roots in the now-defunct Nantah University, Singapore's only Chinese-language tertiary institution. Growing up on a diet of English newspapers such as The Straits Times, I could not see the links, let alone appreciate their cultural significance. I had no idea that this was the historical milieu that I was growing up in. In The Songs We Sang, this is laid out in an unflinchingly clear way. At the end of the 1970s, the era of Chinese-based education in Singapore was coming to an end - partly the result of a forward-thinking policy shift instituted by the Government, but also because Chinese Singaporean parents increasingly preferred their kids to be educated in English. As shell-shocked students of Nantah learnt that their beloved university was to be shut and merged with the University of Singapore (to form today's National University Singapore), they poured their disappointment and sense of loss into poetic "shiyue" or "verse songs". When Nantah eventually closed in 1980, the phenomenon moved to junior colleges such as Hwa Chong, National and Jurong, and xinyao was born. Some of the key protagonists in xinyao were Billy Koh and the Lee brothers - Lee Weisong and Lee Sisong - who went on to mentor a generation of Singapore Mandarin pop singers today, including Kit Chan, Stefanie Sun and JJ Lin. The Monday after the movie screening, I attended the annual Singapore Perspectives forum, organised by the Institute of Policy Studies. There, labour chief and minister Chan Chun Sing spoke of the many challenges facing Singapore and the need for Singaporeans to find solutions and then move forward together as a nation in implementing them. I was in full agreement with him, but I also could not help but think of Tang's movie, xinyao and the Nantah generation that progress arguably left behind. That is ultimately why The Songs We Sang deserves to be seen by more Singaporeans. After all, it is in fully knowing and appreciating the sacrifices that we have made as a nation that we will find the best way ahead.